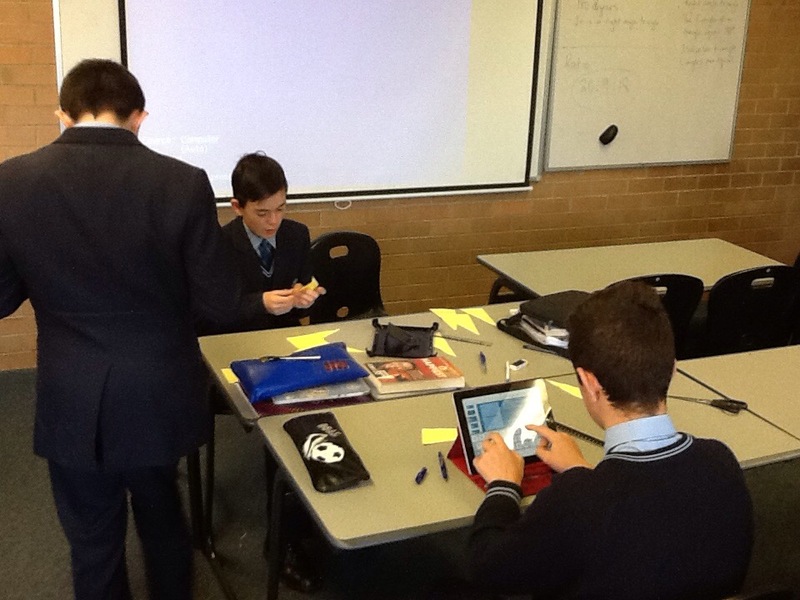 Deeper Learning……Increasing Student Engagement……..I Like….I Wish…..I Wonder……. More evidence coming out of the recent ULearn PLN held recently in NZ where educators are sharing best practice around student centred learning. What was shared? What is happening in schools across the globe especially to Aust, NZ educators? How does best practice look? I love how you don’t have to attend these conferences in person but can learn so much “more” in one sense after the event by reading all the posts. Here is a great one from Steve Mouldy who gives us a glimpse inside his school and how teachers are working in TEAMS to share practice, discuss ideas, and solve problems no doubt. His reflection comes after hearing from Grant Lichtman’s work at the conference. I love the “Kitchen Table” concept and teachers sitting around a table talking. Another way of reworking the staffroom and staff meeting concept. Many thanks for sharing Steve. This week’s provocation at Hobsonville Point Secondary School was Grant Lichtman’s Deeper Learning Cheat Sheet. To follow up on this our Learning Design Kitchen Table (20 minute staff ‘meeting’) was an activity based upon that reading. We started off by looking again at the tips that Grant has disseminated for increasing student engagement, curiosity and student centred practice. Many of these strategies are commonplace and found every day throughout our school. But we recognise that we can always improve our practice. So, we focused on how we can scale up or amplify our practice on these. Leading a school in an age of disruption driven by technology is not easy. There are so many critical issues that schools are facing and need to be tackled. In this blog we want to confine our thinking to one issue only – the need and opportunity to rethink schooling. Sounds desperate. But we are not desperate! Some talk about the issue of rethinking schooling as if we had never started. This is silly. For years keen educators all over the world have been exploring ways to rethink and improve schooling. We are not just starting now, much progress has already been made in transforming schools. What we need to do is to continue this work, moving at a faster pace than ever before, just to keep up with all the other changes in society – especially the immense opportunities afforded by the huge advances in digital technology. Maths, Assessment tasks and moving away from exams. Another example of a school pushing the boundaries of learning for it’s students. This year our Maths department desided to make a major change to the way we assess students in Maths. Previously all assessments have been in the form of formal examinations across Years 7 to 12. This year both Year 11 and Year 8 will complete one assessment in a different format. We are currently in the process of working through the Term 3 assessment task for Year 8. The task is built around the completion of a ‘polygon puzzle’ using the iPads and Google Slides. The first phase of the assessment involved three periods of teacher directed instruction. This involved working through three exercises from the text to ensure the students had background knowledge to enable them to engage with the task.